The Grade One team aim to create real life experiences to develop the students’ understandings and skills. One way we have set about doing this is through our Integrated Studies unit on ‘Community Helpers’. The students learnt about the roles of individuals in the wider community. As each grade is a learning community, we decided that each student would need to perform a weekly job in order to have our classrooms functioning properly. The students have learnt the value of responsibility through doing their jobs, collecting their ‘pay’, avoiding fines and getting to spend it on fun activities at the end of the week. The students have applied their numeracy skills by counting their money, working out change and deciding if they have enough money to participate in the set activities. This has given them a good understanding of how the ‘real world’ works. Reading, writing, speaking and listening is taught on a daily basis. 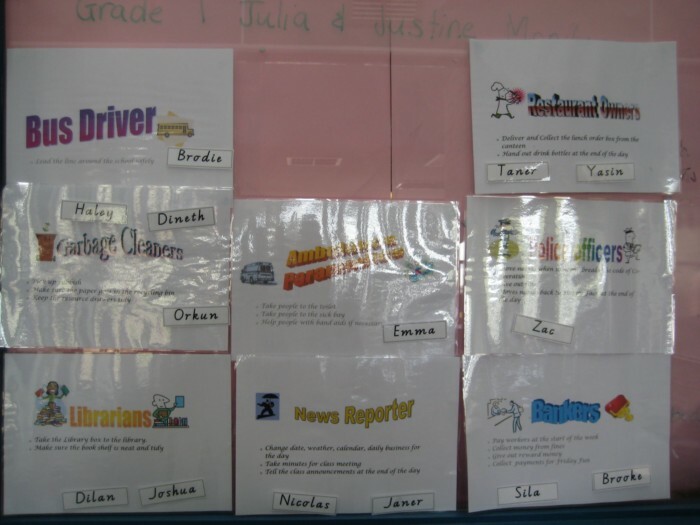 Literacy sessions involve the reading and writing of a variety of text types to broaden vocabulary and comprehension. As part of our classroom Literacy program, each Grade One student has their own individualised book packs with ‘at level’ books for them to independently read. Once a student has been introduced to a text during a guided reading session with their teacher, the book is added to their familiar reading pack. Our focus is to develop the students’ fluency and improve their comprehension. The students also use the familiar text to complete reading activities during the Reading block. They love having their own collection of books to read and discuss. To further support our focus on reading fluency and comprehension, the Grade One team have recently adjusted our home reading program. Each student now gets an assigned day of the week to borrow 5 books to take home and read for the next week. This has given our students ownership over the text they choose to read and the opportunity to read the books more often. This has improved their word recognition skills, comprehension and fluency. 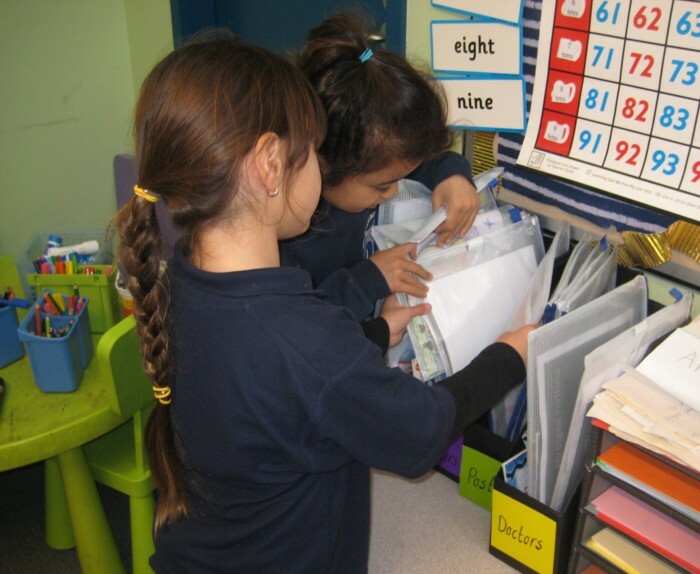 · Counting- skip counting by 2, 5 and 10 to a given target. · Place value- modeling, reading, recording and ordering 2 digit numbers. · Multiplication- developing the concept of multiplication as repeated addition. · Measurement- using both informal units (hands, pencils) and formal units (centimetres, grams) to estimate and measure length, area, mass and capacity.